Modern fencing is one of the original Olympic sports and fencers spend many hours developing the skills, speed and fitness required to succeed in national and international competition. These days there are three types of sword used by both men and women and there are competitions for Fencers at all ages from under 10s to Veterans. Fencing, or the art of defence with a sword, is a modern Olympic sport. Originally fencing, with the help of fencing schools, developed through necessity. The modern sport of Fencing is well suited in developing the student for the hustle and bustle of everyday life. With no age restraints, Fencing is a sport to suit everyone. It offers multiple benefits to the student, including developing confidence, co- ordination, concentration, quick thinking, and speed of reaction, with general fitness and a sense of wellbeing. Whether you have romantic ideas of becoming a dashing cavalier, or wish to develop into the highly competitive fencer, we have something to suit you. The student does not have to be fit to learn, and develops fitness by fencing. Learning the basic moves with an instructor is easy, after which the student is encouraged to develop an analytical mind and outwit fellow students, through practice bouts. Skills are constantly being developed by the instructors, with the students setting their own targets for improvement, and gaining proficiency awards. 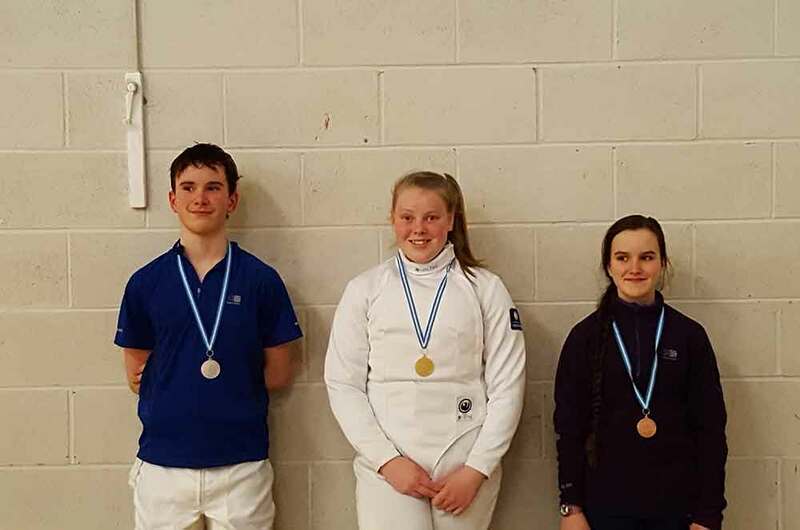 Doncaster Fencing Club, established for nearly 20 years, provides training in all 3 Olympic weapons; Epée, Foil and Sabre, and has sufficient fencing equipment for students to use. We offer a 4 week basic beginners course, and further learning provided by friendly, fully qualified instructors. Each training session begins with group work, a general warm up, stretching, and routine practise of hand and foot exercises. This followed by a special topic delivered by an instructor. A break after an hour leads into practice bouts between students; and one to one bespoke training with an instructor.